Medical devices require highly specified materials that can resist extreme properties like heat, light and even radiation. For devices like X-ray detectors, only specialty glass can deliver these demands — while also maintaining low weight and pristine flatness. 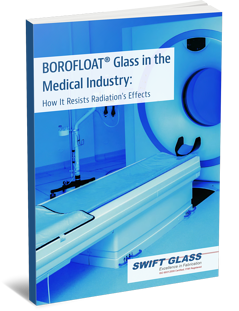 Swift Glass’s technical white paper, BOROFLOAT® Glass in the Medical Industry, lays out the material characteristics of BOROFLOAT® Glass that make it the ideal choice for most medical applications. Explore this material's unique properties and capabilities by downloading our white paper.